Trader Joes generics are often made by name brand manufacturers. « Adafruit Industries – Makers, hackers, artists, designers and engineers! Trader Joes generics are often made by name brand manufacturers. 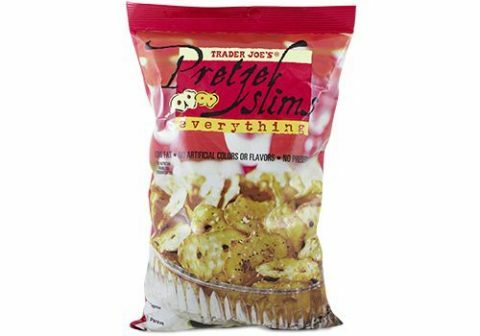 Trader Joe’s is to some a grocery store, but it might be better understood as a snack store with a an array of “generic”products that are almost aways in too much packaging. The great thing about TJ’s, however, is that more often than not its generic products are cheaper than similar name-brand products one might find when shopping at Kroger or Walmart. The surprising thing is that these more expensive name-brands are also the ones making the cheaper Trader Joes branded foodstuffs. In an article over at Eater, Vince Dixon recounts how the Eater team deduced a bunch of TJ’s branded suppliers by FOIAing FDA and USDA recalls. If you think Naked juice is too expensive and opt for a TJ’s juice instead, it’s very likely you are drinking the same product, but paying less for it. Many name-brand products already have a robust customer base, but there are also the kinds of customers that appreciate cheaper products, for a variety of reasons. It’s empowering to say no to a name-brand item. But this mentality, and this type of consumer, is attainable for a name brand via of TJ’s. For manufacturers, this is the benefit of using private labels, says Doug Baker, the vice president of private brands at the Food Marketing Institute. He notes that companies using store labels are often targeting consumers who care less about brand names and more about health, functional value, experience, or a story. At Trader Joe’s in particular, consumers also pay for a perceived sense of novelty. TJ’s is a whole store that presents these products to this type of consumer. Name brand manufacturers can’t get their products into TJ’s under their own name and so if a customer is shopping at TJ’s, there is no way to acquire them. Rather than lose all potential for a sale, name-brand manufacturers are selling their product into TJ’s for less, to tap into this market that would otherwise be inaccessible. TJ’s is notoriously secretive about the manufacturers they work with, but what you can see in at least a few instances, is a powerful name brand tapping into both the big spending customer and the frugal spender — increasing it’s market share as a result. Some money is better than no money! Read the whole article over at Eater, you’d be surprised at some of who makes the Trader Joe’s products. Comments Off on Trader Joes generics are often made by name brand manufacturers.